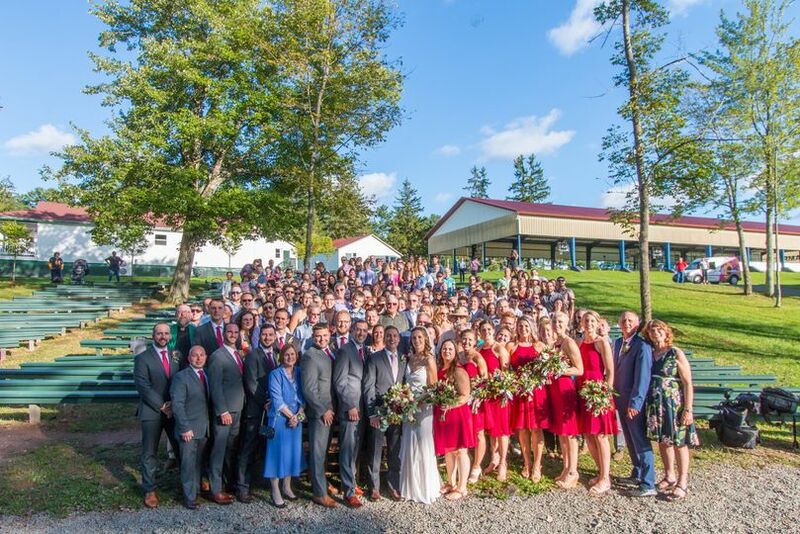 Tyler Hill Camp is a rustic wedding venue located in Tyler Hill, Pennsylvania. 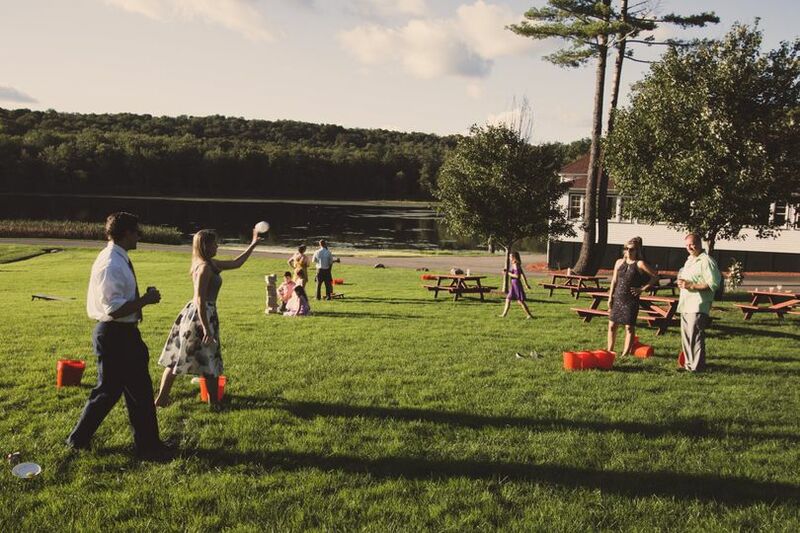 Set in the Pocono Mountains, the venue specializes in hosting lakefront and campsite weddings. 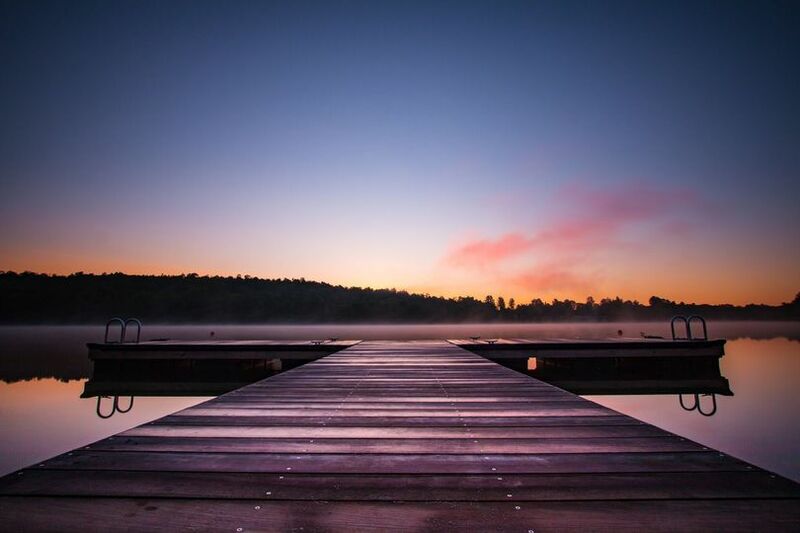 A serene, nature-inspired event space nestled between two sparkling lakes, Tyler Hill Camp is the perfect setting for couples seeking a relaxed wedding ceremony. 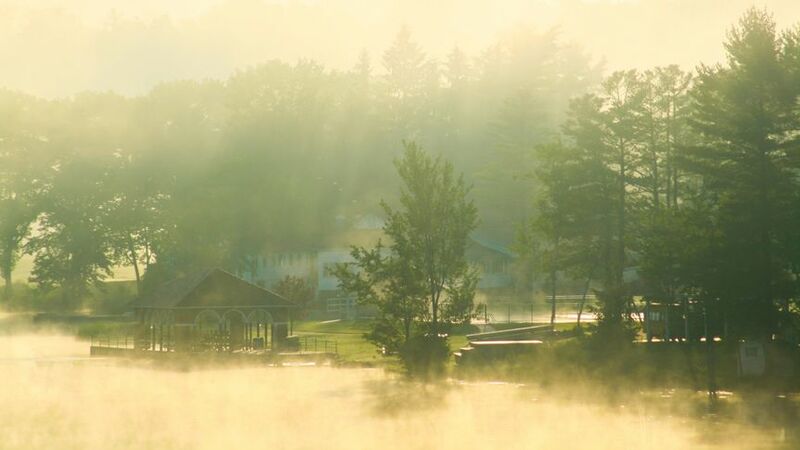 Tyler Hill Camp is 250-acre wedding venue, which can host up to 1,000 guests. 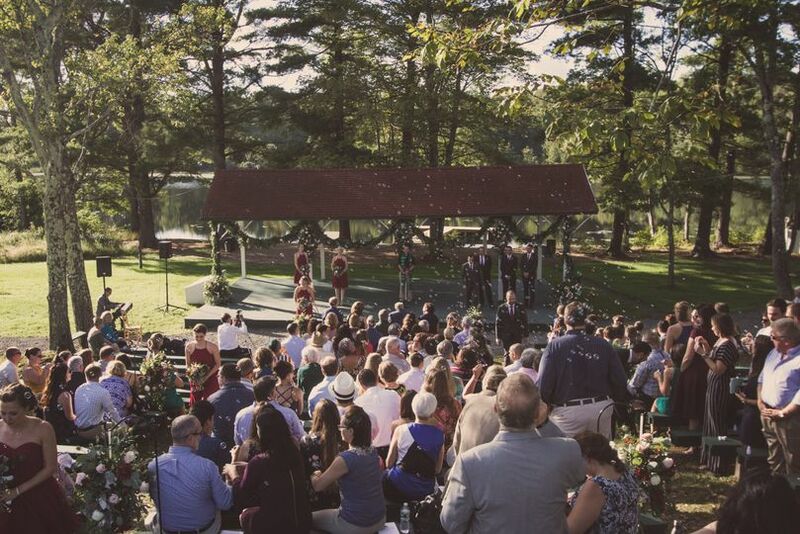 The venue offers indoor and outdoor event spaces for ceremonies and receptions. The Dining Hall is an indoor event space ideal for receptions, which offers customized menu options. The lakefront bank is suited for outdoor ceremonies. 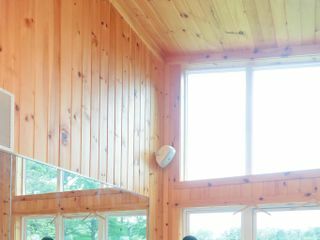 The venue has 50 air-conditioned cabins and guest rooms for accommodations. 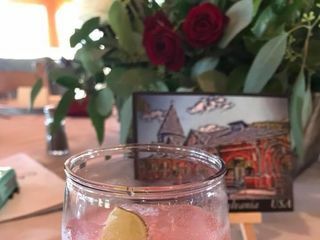 Couples and guests can enjoy their cocktails while exploring the lush grounds. The venue also offers ample recreational space for couples and guests to unwind and relax. It has a 9-hole golf course, an Olympic-size heated pool, an assembly hall/theatre, an indoor movie theatre, an indoor cycling studio, a fitness center, 12 tennis courts, basketball courts, a covered hockey rink, and fields for soccer, football, lacrosse, and baseball/softball. 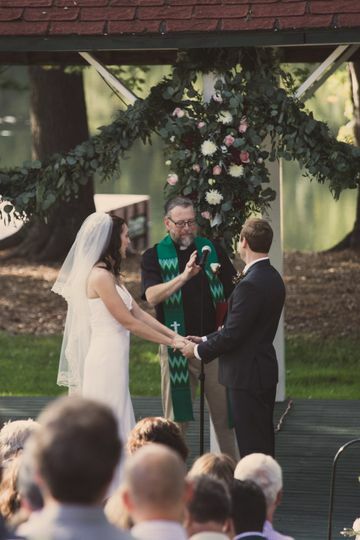 My new husband and I were married at Tyler Hill Camp (THC) and it was the perfect venue. 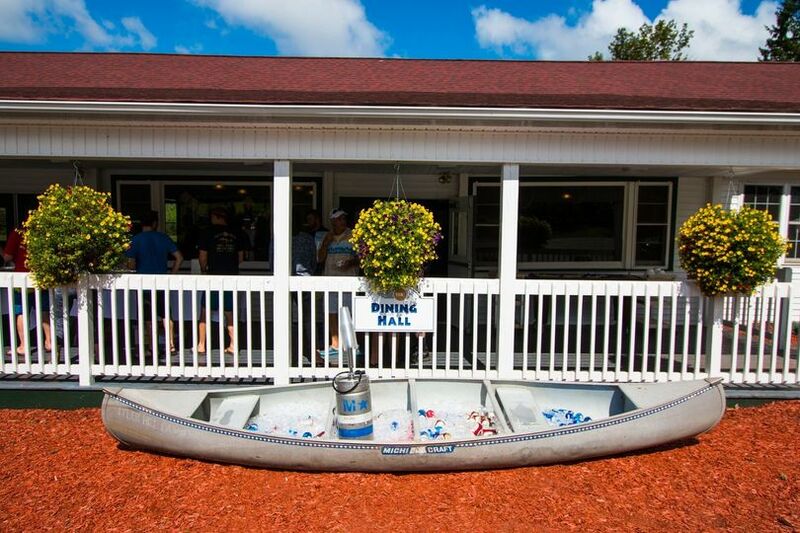 We had guests coming from all over the country and we wanted a venue where everyone could enjoy the weekend together. THC was ideal for this! They have hotel style rooms where we put the older guests and the rest of the guests stayed in the campers cabins. We had a kickball game and BBQ on Friday night, activities all day Saturday, our wedding and reception Saturday night and finished it all off with a brunch on Sunday. The camp is used to feeding a lot of people at once so 229 guests was no problem for them. The kitchen leadership team was excellent and worked with us to create the perfect menu that everyone was complimenting. 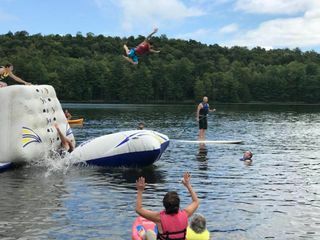 We had the waterfront open for our guests and everyone enjoyed being able to act like a kid again at summer camp. All of the staff was easy to work with and super friendly especially Jessica or 'Hutch'. 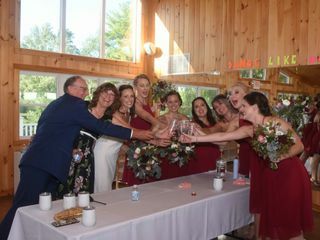 If you decide to go with THC we highly recommend asking Hutch to be a part of your team as she understands the details involved in pulling off a wedding weekend and will make sure that everything comes together as planned. Thank you THC for hosting the wedding of our dreams! 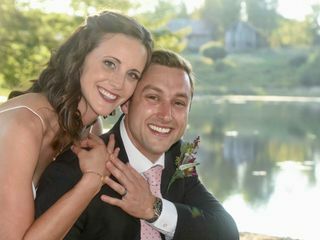 We had an amazing wedding weekend at Tyler Hill Camp and can't say enough good things about them! 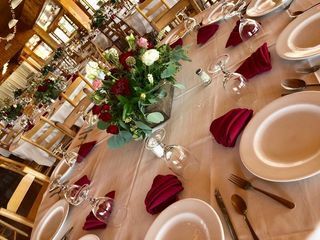 They have so many facilities that you can utilize to make the weekend exactly how you want it... it is versatile enough to accommodate a wide range of styles, from cozy to rustic to elegant. We chose to have a pig roast/campfire/jug band on Friday night, the Saturday ceremony and cocktail hours lakeside, an indoor reception, then a kickin' after-party in the Canteen. This place is so unique - you have endless possibilities to make it your own: truly a one-of-a-kind wedding. We had an absolute blast planning all sorts of creative things, from dreaming up fun cabin names, to crafting a cake-shaped pinata, to creating merit badges that determined who were the best dancers, to designing custom shirts that our guests could tie-dye during the weekend, and so on! (It was so much fun seeing everyone's shirt creations after the wedding). Mike and the staff were great! They thoroughly pre-planned with us regarding detailed logistics and to form a terrific menu. During the event, everyone worked really hard to make sure everything went smoothly, including carting us around on the golf carts. A few menu items really stood out: pork from the pig roast (THE BEST the we've ever had), pasta salad, BBQ meatballs, a big breakfast spread, the mac'n'cheese bites, and the carrot cake cupcakes. We had so many people tell us, "Best Wedding Ever". Full disclosure.... everyone there is so super happy, and it's contagious!!!! We had an amazing, amazing experience having our wedding at tyler hill camp! 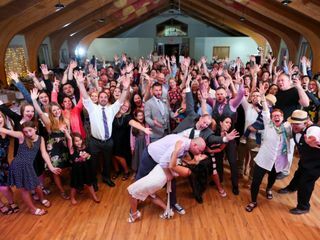 Our wedding was 125 guests. 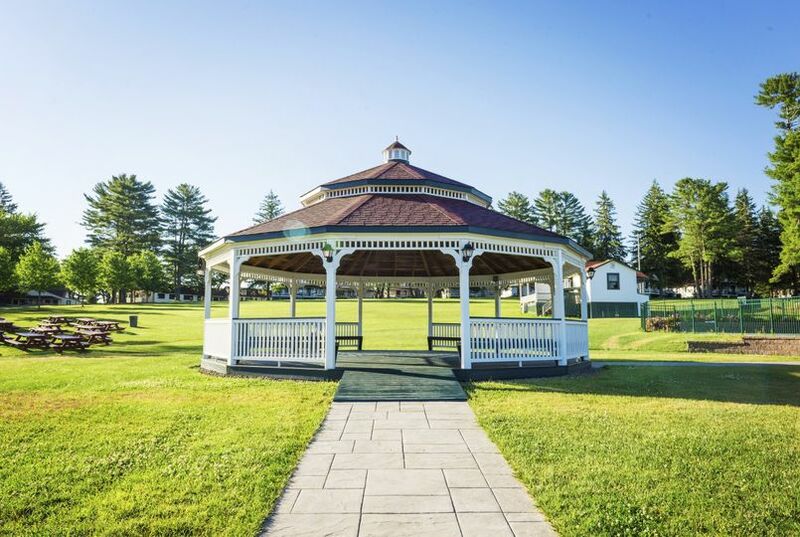 The camp is beautiful- There are many choices as to the ceremony/reception locations-We had a baseball theme wedding & got married on one of the ball fields. 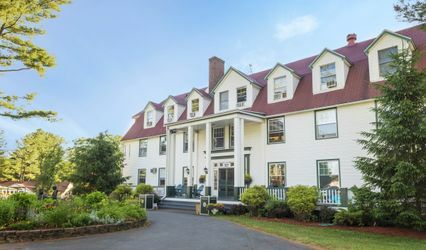 (yankee-red sox themed) Our cocktail hour was by the lake & reception in the main dining room. 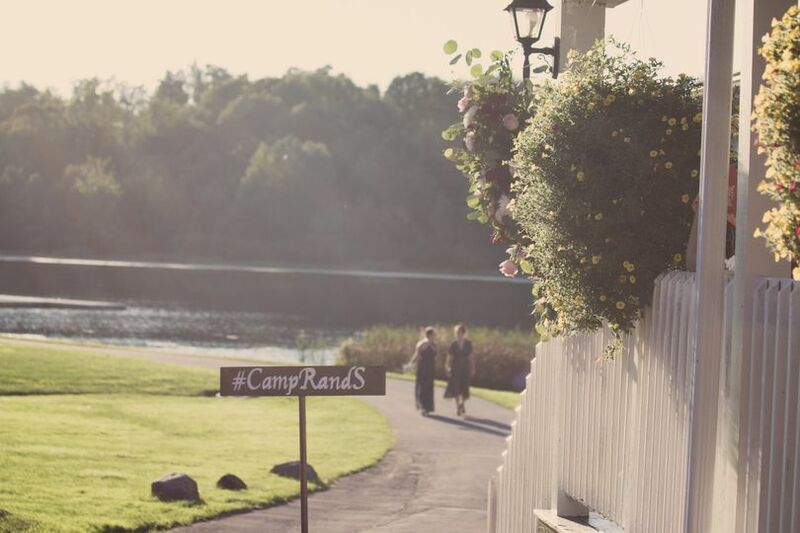 It's a perfect location to have a "destination wedding" and spend the weekend in camp! i can't say enough about how accomodatiing the entire tyler hill staff is. Everything was top notch. I couldn't have asked for a better group of people to make it all happen! The bunks were available as well as private rooms in the main building. About 1/2 of our guests stayed overnight. some came for two nights. We had bonfires each night ( i came in my wedding dress & red sox sweatshirt!) Brunch was served the morning after the wedding. All great! Our wedding is still the talk of the town! . It is not conventional, but we wanted something different. The location is just ideal-the lake, golf course, tennis, basketball. All available for guests. We did have out wedding on October 8 & is was a little chilly in the bunks, but nothing that a warm pair of pajamas didnt cure! I highly recommend Tyler Hill as a wedding location!! !